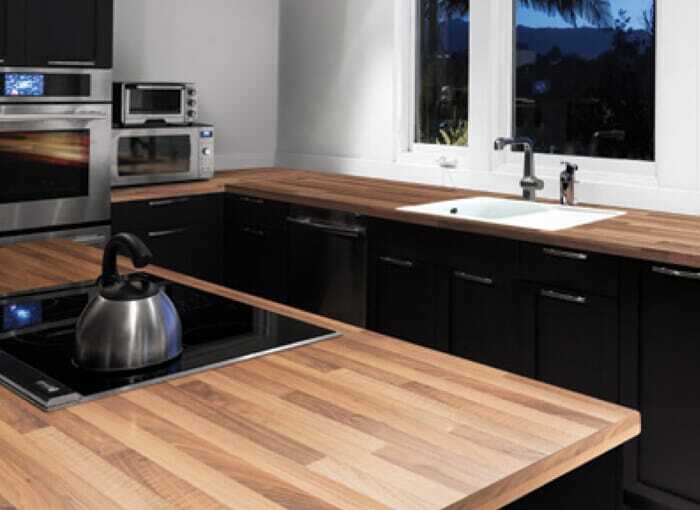 At HC Supplies, we’re immensely proud of our comprehensive laminate kitchen worktop range. Laminate worktops are without doubt the most popular choice among homeowners in the UK and it’s easy to see why. 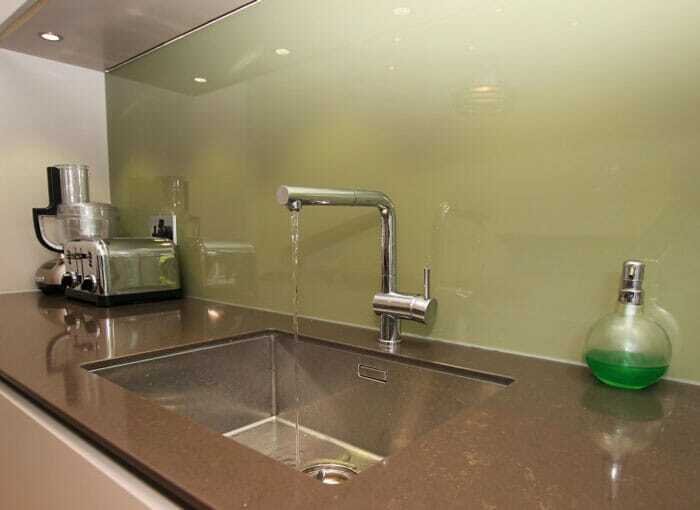 Affordable and available in a huge range of styles, textures and colours, they make a wonderful kitchen worktop. At HC Supplies, we stock literally hundreds of cheap, quality laminate worktops from the leading brands in the business. Browse through our extensive selection and you’ll discover WilsonArt kitchen worktops, Prima kitchen worktops, Duropal kitchen worktops, Omega kitchen worktops, Odyssey kitchen worktops, Artis kitchen worktops, Axiom kitchen worktops & Formica laminate kitchen worktops. Each high quality laminate worktops brand offers you something different in terms of style and with a massive number of colours and finishes from which to choose, you can be sure of finding your perfect laminate worktop with us. Our diverse range of kitchen laminate worktops has something for everyone, no matter the taste, budget or kitchen design. Our laminate wood effect worktops are incredibly popular and beautifully mirror wood worktops with oak laminate worktops, walnut laminate worktops, butchers block worktops, colo bolo worktops and a huge array of other timbers which would suit a traditional style of kitchen. We have a stunning array of coloured laminate worktops, If a contemporary design is more your thing, we offer a superb choice of black laminate kitchen worktops, grey laminate worktops and white laminate kitchen worktops for those wanting to create a clean, crisp and elegant look. You really will not find a better range of laminate worktops online anywhere else – we can guarantee it! As you’ll see from our range, laminated worktops are not just a cheap option, they’re also a quality addition to any home. 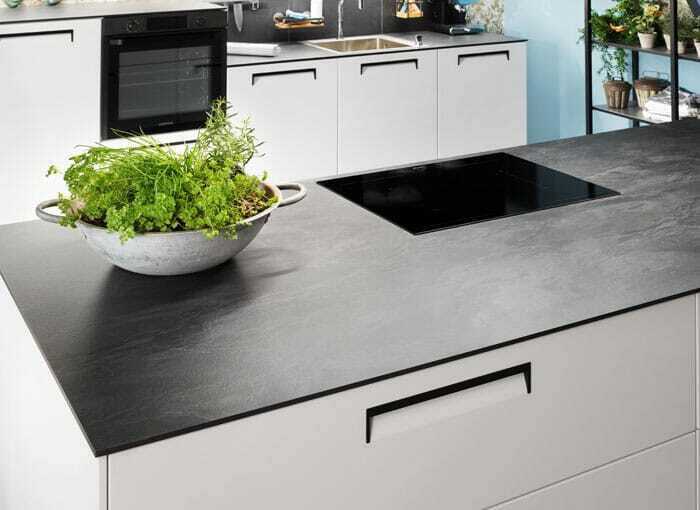 We even stock stunning slate worktops & basalt slate worktops! 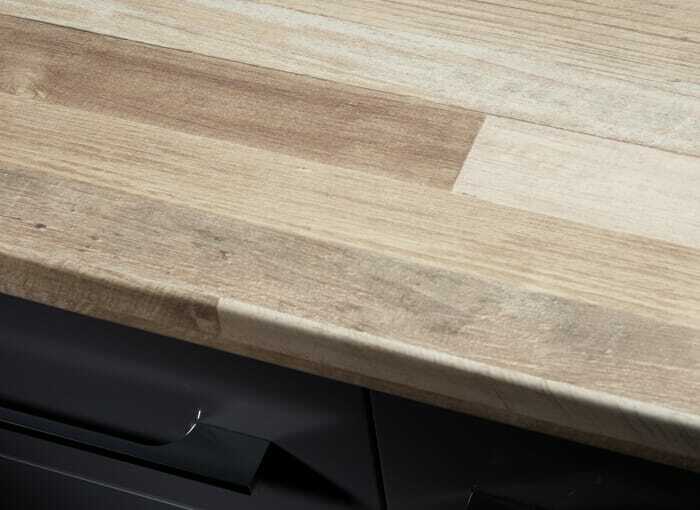 Our laminate kitchen worktop range is incredibly durable and water resistant, making them a practical and functional option for the busiest of kitchens. 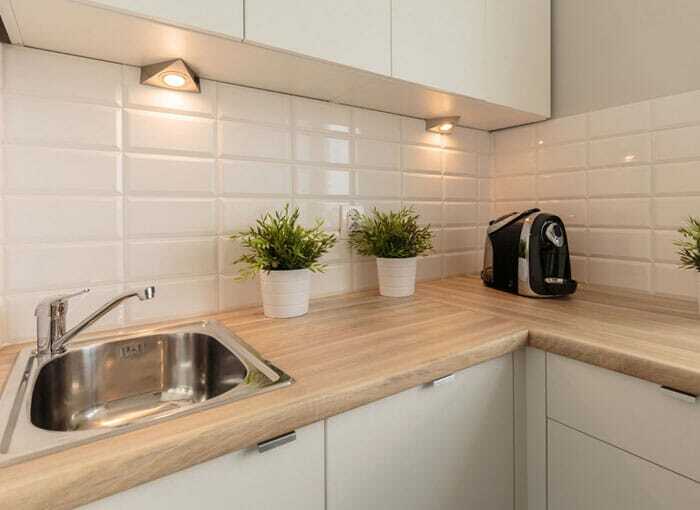 Whether you’re looking to install a laminate worktop in your home, business or student property, they make an incredible choice that’s tough and long lasting. At HC Supplies, our laminate worktops range come in a variety of different textures which can give your kitchen design a superb look whatever your taste. For a cheap laminate worktop, look no further then our standard texture range. Although simple in texture, this range of cheap laminate kitchen worktops is anything but budget, offering a wide variety of colours and designs from some of the biggest laminate worktop UK manufacturers. 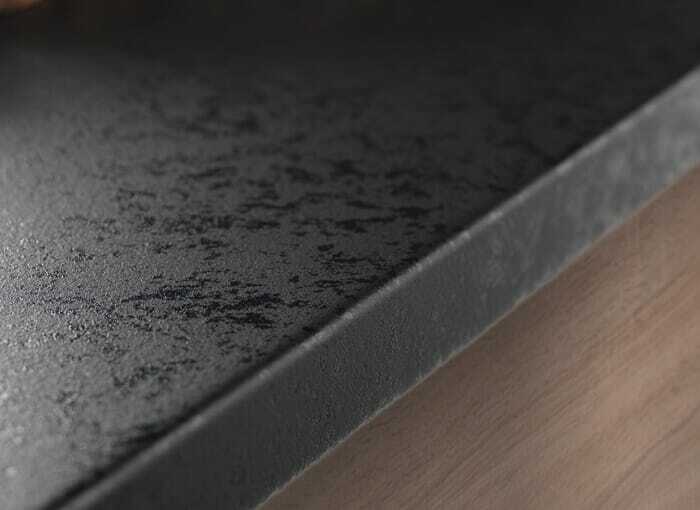 This range is resistant to scratches and abrasions associated with other laminate kitchen worktop textures. Furthermore, they’re easy to clean and maintain making them a real favourite among our customers. Check out our stunning sparkly worktops, bella noche worktops & strass noir worktops from this exciting range. For laminate kitchen worktops that offer elegance and style, we also stock gloss and high gloss laminate worktops, which can add a striking modern twist to your kitchen. For example, take a look at our black gloss laminate worktops, midnight granite gloss worktops, everest gloss worktops & white high gloss kitchen worktops. Gloss laminated worktops will show more marks than standard texture, but are easily cleaned with a simple cloth and detergent. If you’re looking for a no thrills cheap discount laminate worktop, we have just the range for you. Our superb matt finish is a crowd favourite. Simple, modern and stylish yet without that gloss finish. Whether you’re looking for wood effect kitchen worktops or a laminate worktop that beautifully mirrors the look of a solid surface worktop, you’ll find it here. We have a beautiful selection of laminate worktops that mirror solid wood worktops such as our walnut butchers block laminate worktops, beech effect worktops, romantic walnut laminate worktops, jamocha worktops, walnut effect worktops, colo bolo worktops & oak effect worktops. We work extremely hard with our kitchen worktops suppliers and have a fantastic relationship because of it. This means we’re able to offer discount laminate worktops prices that you’ll find hard to beat anywhere else online. Each brand of laminate kitchens we stock uses the latest in worktop technology to create truly stunning laminate worktops that are designed to look great and last. Long gone are the days where cheap laminate kitchen worktops were seen as a budget option. 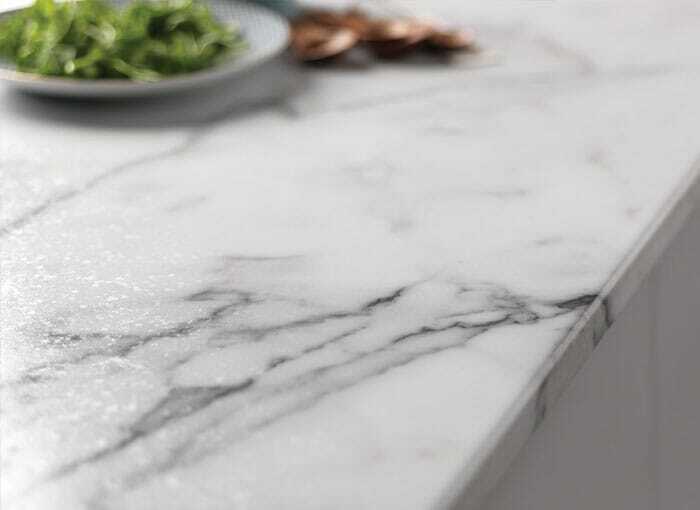 The latest innovations in laminate worktop technology has seen this worktop material undertake a massive transformation in terms of quality and reputation. 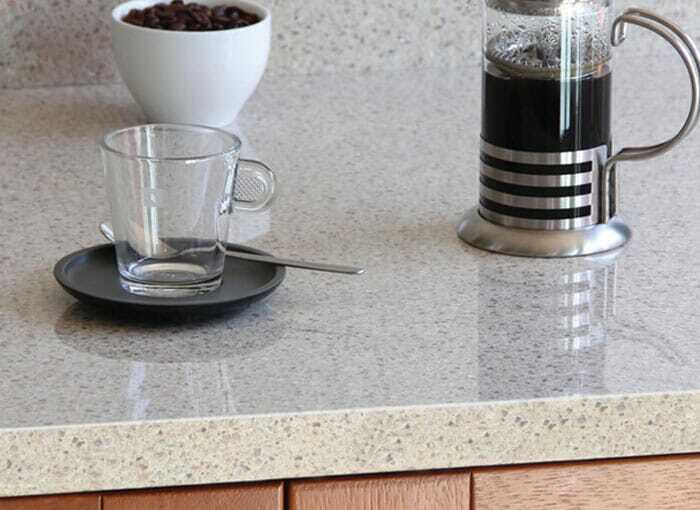 Our laminate worktops for kitchens come in an array of finishes and edges. 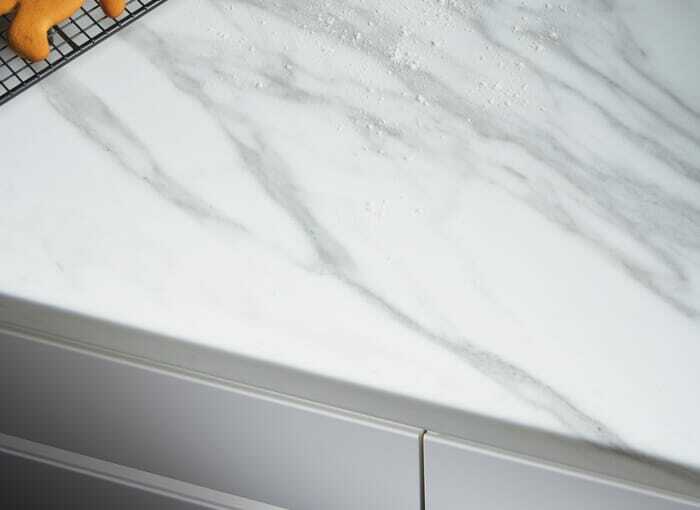 Our high quality laminate worktops are offered with a choice of edge details and worktop thickness to give you the ultimate freedom when it comes to your kitchen design. 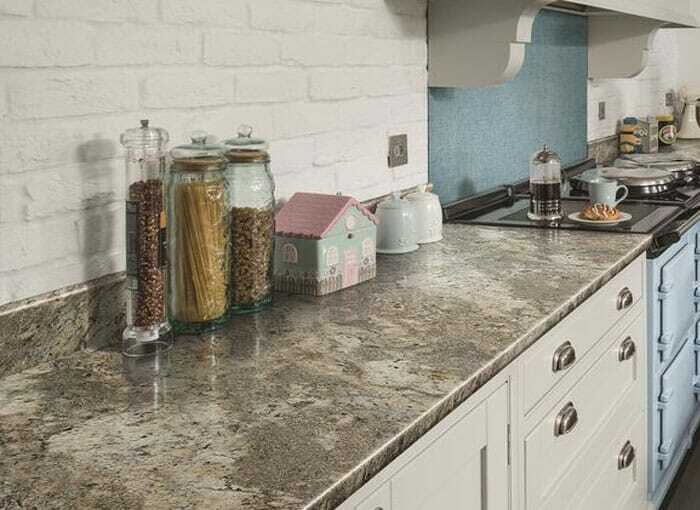 We really leave no stone unturned when it comes to our selection of laminate kitchen worktops. 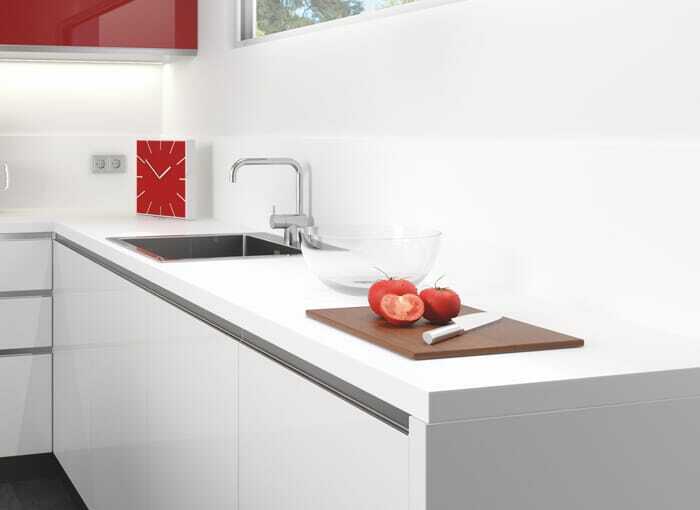 For example, why not take a look at out our square edged laminate kitchen worktops. 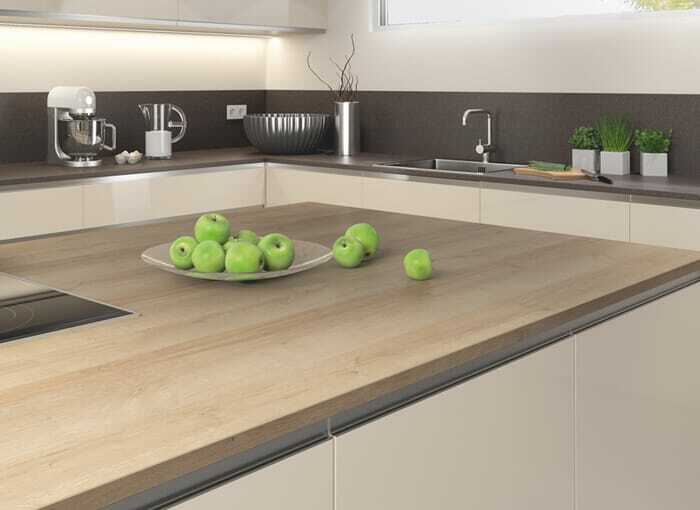 Square edged laminate kitchen worktops are perfect for homeowners looking to achieve a contemporary kitchen style. The sharp, clean look of squared edge laminate worktops make them a real standout laminate worktop. 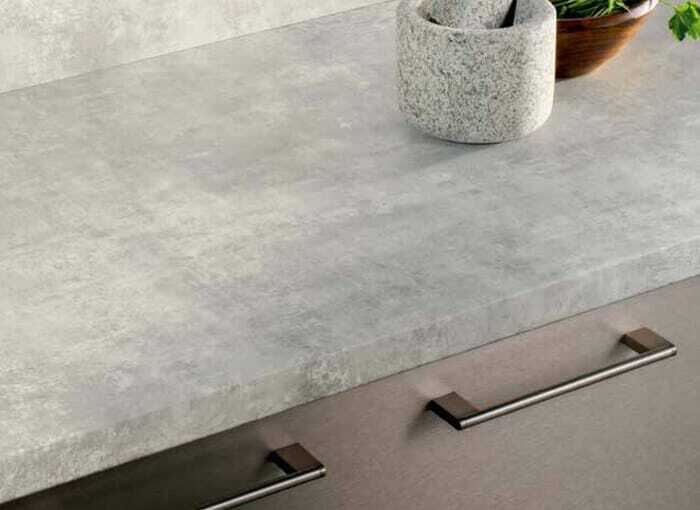 The squared off edges resemble those of a solid surface worktop providing you with a high quality worktop at a fraction of the cost of granite or quartz. From leading suppliers WilsonArt and Artis, our square edged laminate worktop online range is as extensive as it gets. Equally as attractive is our curved laminate kitchen worktops range, a curved laminate worktop will give your kitchen a real classy look that will certainly get house guests, friends and family talking. The range comes in an extensive range of colours and textures and like our square edge laminate worktop range they ooze class. HC Supplies Supply quality discount laminate worktops online with direct delivery to your home or site at discount prices. 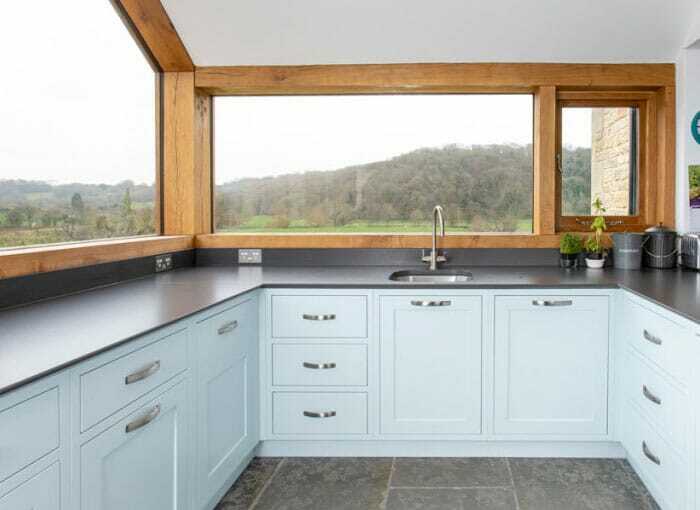 At HC Supplies we offer an outstanding range of high quality laminate worktops from some of the top laminate worktop manufacturers from around the UK. We aim to get the majority of our laminate kitchen worktops delivered to most places in the UK within 2-7 working days! You’ve probably seen for yourself through our great online prices that we’re probably the cheapest supplier of laminate worktops for kitchens anywhere in the UK. For our entire laminate worktops range, why not come and visit our showroom in Doncaster, North Yorkshire? You’ll find a comprehensive sample range for you to browse through. The most difficult part will be choosing your dream laminate worktop!